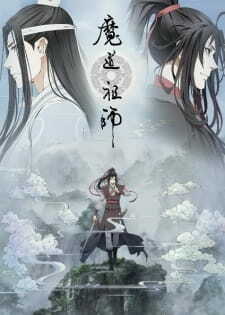 Mo Dao Zu Shi is an adaptation of the Chinese web novel of the same title, written by Mo Xiang Tong Xiu (墨香铜臭). I usually write reviews either because I hate it or love it. In this case, it’s the latter. If you haven’t read the novel or Manhua, (like me—because I started with the anime/donghua) then it might be a bit confusing at first but you’ll get the gist of it. I personally started reading the novel and Manhua, and they give more explanations and you’ll appreciate the story more. The story is, so far, heavily focused on flashbacks. Only the first 2 episodes are set in “the present”. I am currently on episode 9 and it’s still a flashback, so it’s a bit slow-paced. However, all the episodes are action-packed and it’s hard to look away. Everyone has a distinct character, despite some characters looking the same—you can tell them apart. Wei Wuxian is very fun protagonist to watch—he’s a troublemaker who likes to tease people and isn’t afraid to speak his mind. This was what attracted me. The setting is in Ancient China and I’m in love with their clothes, architecture, etc. (All were flawlessly animated.) Everything was smooth and literally everyone is beautiful and eye candy. Although the Chinese voice acting is a bit new to me (this is only my second Chinese Animation), I got used to it and it actually sounds nice! The voice actors were very expressive in their tone of voice, which I sometimes found lacking in some Chinese voice/actors. The background music, OP & ED were like heaven to my ears. The main characters also play instruments (flute/guqin) which sounded so badass. Hi, I'll make it short for you guys, put some headphones, and dive into it, the music, art and plot will do the rest. You'll get hooked, and get sadder and sadder as the prospect of the end of the season approaches. The ancienT China lair, and character development are really sofisticated, voice actors are great and it deservs its reviews. The 3 best points are for me : the main character , the music, and the art and smoothness of the animation, the combining of ccg and drawings is really well done, and immersive, I know really few japanese studios that could rival with this level of dedication. Pay attention all along to the backgrounds and number of frames used. Where do I begin with? I was doing a search on pinterest for some traditional media pictures and some fanart of chinese illustrations and some pictures with long haired guys that looked like anime images would pop up again and again. So I finally decided to do a reverse image search. And I can't believe what a gold mine I stumbled across!! This anime... first and foremost there are breathtaking landscapes in almost every frame of each single episode. I kept on imagining how ancient China must look like before its modernization but I feel that most part of China (probably the central parts) might still be as breathtaking to look at as they have been depicted in the anime. The backgrounds in this anime are simply heavenly!!! The story... It has a solid base- an action, adventure, fantasy story, very good pacing and very good narration. For me, watching this story was like imagining the lives of ancient people of China even though there are lots of fantasy elements. But the way the towns, or transportation, the temples and school ground has been shown, there's something really captivating about it. A jolly troublemaker protagonist, the hardships he goes through and how in all this he's unconsciously drawn towards someone again and again. It's just a treat to watch. The story of Wei Wuxian's past has been animated in these 15 episodes. In this how, he's sent to study the cultivation arts, what tasks are given to these young students where they can use these arts to slay the dark forces is shown. The animation and sound... It's really lucid. CGI used in this anime doesn't disturb the scenes. The background music throughout and opening and ending songs are beautiful and have traditional Chinese musical instruments in it of course. Very harmonious. The voice actors have done a very good job. Since this is the first time I've heard dialogue in Chinese, I can't really say much, but I liked hearing how each person spoke. Their way of saying sentences reminded me a lot of how Korean is spoken. Characters... The most important in the anime after the story and the best part all male characters are long haired handsome boys and men!! <3 <3. The two main characters, Wei WuXian and Lan Wangji have been fleshed out very well. They both are really adorable but I must say I like Lan Wangji a tad bit more than Wei Wuxian. Simply because he's such a tsundere character who deeply cares for Wei Wuxian. If you read the novel you'll probably fall deeper in love with this character. Since this anime is going to have another season, maybe we'll see more character development for other characters as well. All in all, I can;t get this series or the two main characters of this series out of my head. And am impatiently waiting for S2 (schedule in July 2019). Please do see these 15 eye candy episodes and also read the manhua and novels.